IVYBRIDGE will be looking to end their home campaign on a high on Saturday when they host Devon rivals Brixham at Cross-in-Hand (2.30pm). There may not be any promotion or relegation issues resting on the match, but it could decide who will play Barnstaple in the Devon Senior Cup. A bonus point win for either Ivybridge or Brixham could secure them a spot in the final ahead of Exmouth. A victory would also mean that Ivybridge finish in their highest league position. 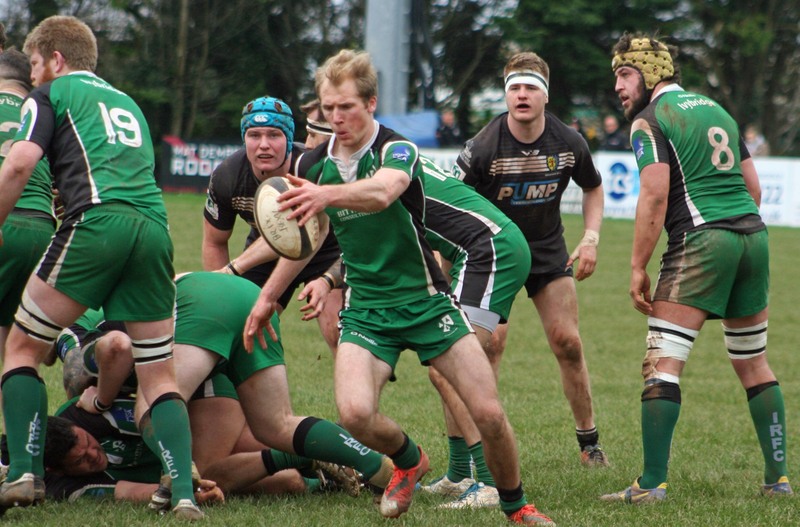 “First and foremost we just want to win the game,” said Ivybridge player-coach Jamie Tripcony. 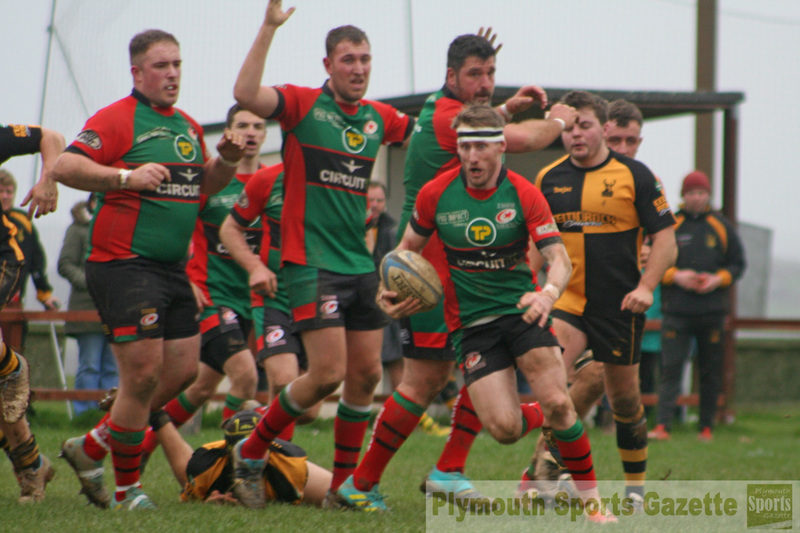 “What happens afterwards we can worry about later, but our focus is just to try and make sure we win the game, which will be a huge task against Brixham, who have some momentum. I think they had quite a high scoring game last week and so they will be out to score some points again. Ivybridge have lost their last three games to Bracknell, Bournemouth and Barnstaple. “We are quite disappointed with our last couple of results and I think we need to try and finish well and take a bit of momentum into next season,” said Tripcony. Ivybridge snatched a controversial 13-12 victory at Astley Park with a last-gasp penalty from Luke Martell, having been 12-0 down at half-time. Ivybridge do have better availability this week but are waiting on a few injuries before finalising their team. Brixham have included former Ivybridge fly-half Mitch Pinkus in their starting line-up. It will be his first playing return to Cross-in-Hand since leaving at the start of the season and he will find himself up against his older brother, Billy, who is Ivybridge’s top scorer this term. DEVONPORT Services will be hoping to end a four-game losing streak on Saturday when they play their final away match in South West One with a trip to North Petherton. Services were looking to challenge the top three just over a month ago but after a number of narrow defeats now find themselves in seventh spot, five points behind their opponents this weekend, North Petherton, who lie in fifth place. 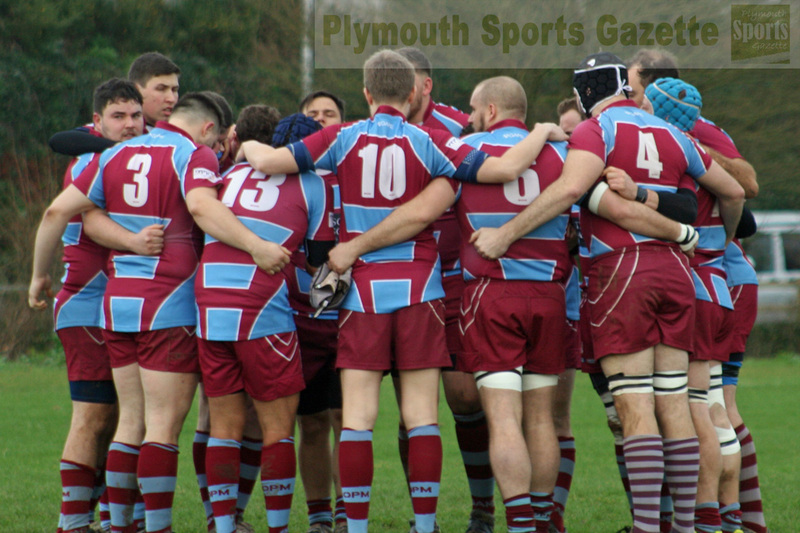 Devonport will end their first season in South West One next week with a home match against leaders Okehampton, who they will also face the following weekend in the Devon Senior Shield final. “We’ve only got two league games left to try and get a win – North Petherton, who are just above us, and Okehampton, who are looking to get that top spot and promotion – so it is going to be tough,” said head coach Mike Lewis. He added: “I think all it has been is a bit of mind-set and had that been different we could have been second or third now. Services do have a few more players available this week than last when they narrowly lost 25-20 to third-placed Newent at home. “Both first and second teams are looking a bit healthier this week,” said Lewis. Services’ second team are only 30 miles away at Tiverton in their final away game so the club are organising a joint trip. Saltash will end their season with back-to-back home games in Western Counties West. Both will be crucial to their hopes of staying up. This weekend they host Winscombe before title-chasing Sidmouth visit Moorlands Lane next weekend. Winscombe have pulled away from the relegation zone in recent weeks, but Saltash are still very much in a battle to avoid the drop. They are just staying out of the bottom three courtesy of a better points difference, but know a win is vital this Saturday, especially with their relegation rivals all having tough fixtures this weekend and knowing they have to play Sidmouth, who will need a win for promotion, the follow Saturday. Winscombe narrowly won the corresponding game at their place in December 24-21. 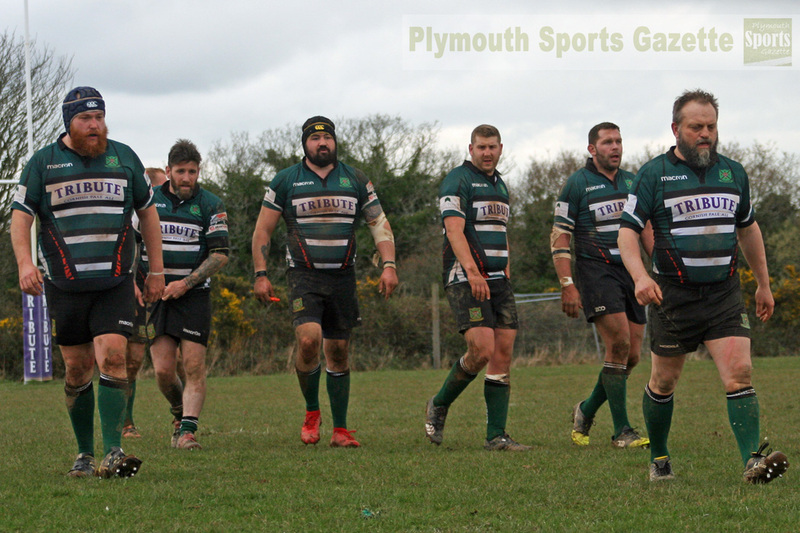 LIFE does not get any easier for already-relegated Plymouth Argaum this weekend as they welcome league leaders Penryn to Bickleigh Down for their final home match of the season. 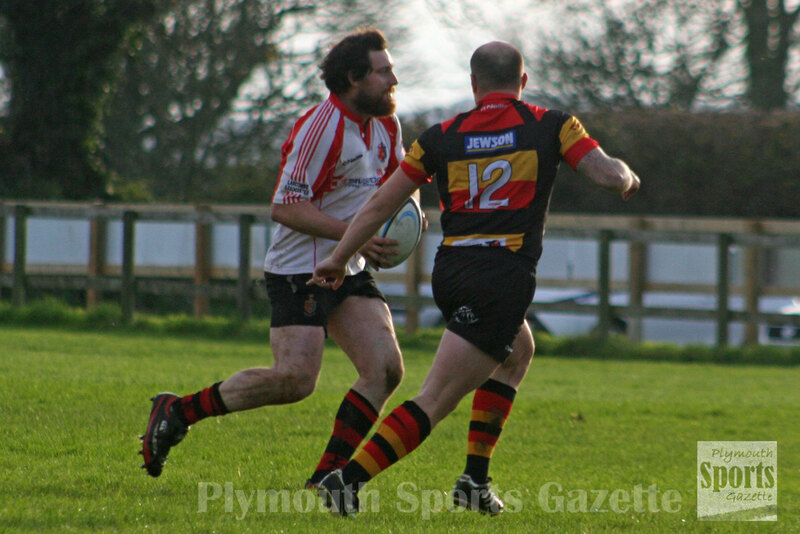 Argaum’s fate was sealed last Saturday when they lost 80-0 away at Liskeard-Looe. They are now just playing for pride in their final two games against Penryn and the Pirates Amateurs, who could also be relegated. Penryn will certainly not be taking it easy on Argaum as they are still in a battle with Honiton and Bude for the Cornwall/Devon League title. “Saturday is going to be difficult,” admitted Argaum’s secretary Stuart Quarterman. “But we have to get as much out of it as we possibly can. Argaum do hope to be able to welcome back Tom Holliday for the visit of the league leaders. 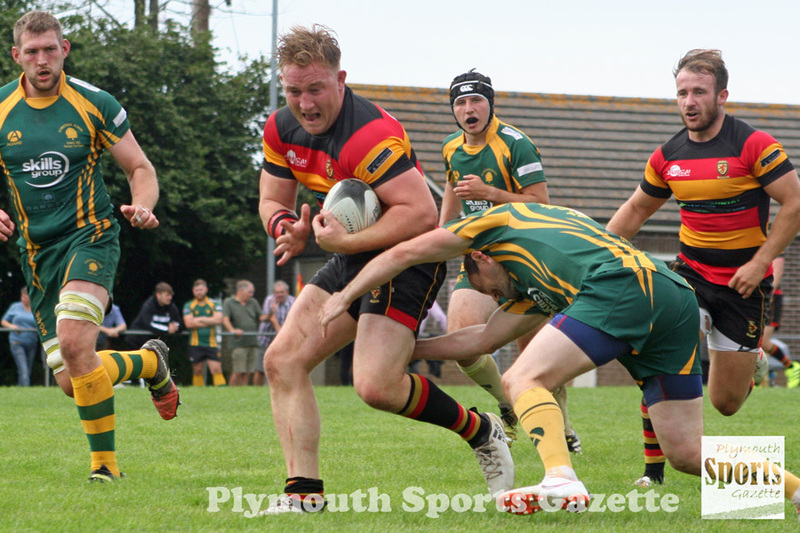 Plymstock Albion Oaks end their home fixtures with a game against in-form Liskeard-Looe. Oaks need a win to guarantee themselves a top four finish. After back-to-back defeats to promotion-chasing Honiton and Bude, Oaks will be looking to get back to winning ways and end their home campaign on a high. They should have a number of players back that missed last week’s trip to Bude. Tavistock also have their final home match of the season when they play host to promotion-chasing Honiton. They will follow that up with an equally tough fixture away at Bude in their final league game. Tavistock will know this weekend is going to be tough. Honiton have only lost once – a narrow defeat to title-rivals Penryn – since the end of October and are through to the RFU Senior Vase semi-finals. The East Devon club need to win their final two matches with bonus points to guarantee promotion. But Tavistock will take heart from their performance against them up at Allhallows, where they put up a good battle before losing 30-12. Tavistock are missing a few players this week including Jack Glover and Ethan Lamerton. Ed Nettleship, however, returns at fly-half and back-row forward Andrew Schuttkacker will move to centre. Conor Packwood remains on the wing, with Sam Eaton returing in place of the injured Ash Toll. TAMAR Saracens’ four-month unbeaten run will be put to the test on Saturday at the Parkway by Devon One runners-up Exeter Athletic. Devon Junior Cup finalists Exeter have only been beaten twice this season, but Saracens did earn a 19-19 draw with them at Oil Mill Lane at the end of February. Exeter claimed they were under-strength that day, which has made Saracens hungry to prove themselves on Saturday. “I think this will be our biggest test of the season,” said Sarries spokesman Marc Cioffi. “We will see how far we have come. “They said they put out a B squad last time we played them so it will be interesting to see who they bring down. “We are going to have a couple of players missing, but we have that much depth in our squad at the moment that I think we can cover the positions. OPMs have a bumper day planned for Saturday to open their new bar area at King George V Playing Fields. The Old Boys will be holding their vice-presidents and sponsors day and will be putting three teams out at home. Their first team are due to play New Cross in Devon One, with their second and third teams playing a combination of Plympton Victoria, DHSOB and University of Plymouth. “It is going to be very much a day of rugby,” said OPMs chairman Matt Glastonbury. OPMs have been busy for the past year improving their facilities at their Elburton home. At the start of the season they opened a social area and cafe, but have now added to that by creating a licensed bar. “Saturday will be a celebration of the fact that we have now not just done the social area but have now got a bar going,” said Glastonbury. He added: “We did the social area before but now one of the other rooms has been renovated for a bar and we have a licence. It was just the next step for us. One of the things they will be hosting is the annual Plymouth Combination Sevens, which will take place on May 11. They will follow in the footsteps of Plymstock Albion Oaks, Devonport Services and Plymouth Albion in holding the event. 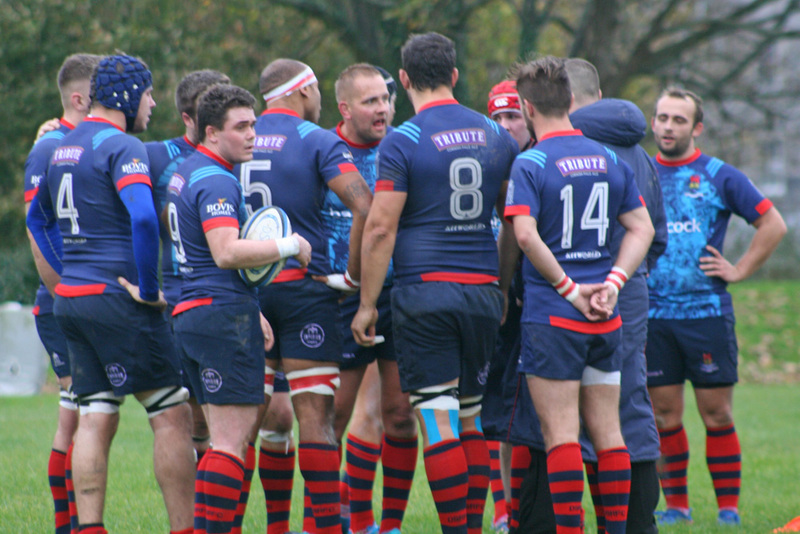 OPMs have not won in 2019 but will have take encouragement from their performance in their last outing away at third-placed Exeter Saracens – a game they narrowly lost 21-12. New Cross are bottom of the table but are only five points behind OPMs with two games to play. Old Techs are also at home this weekend when they host third-placed Exeter Saracens at Weston Mill. Techs have a Lockie Cup final to look forward to now after beating the Peninsula Medical School last weekend and they will be keen to build some moment ahead of the final on April 24. Techs, who end their league campaign with an away trip to New Cross, are currently seventh in the table but could move ahead of Torrington this weekend.